The painting depicted on this page was produced by artist Carlos Cartagena, and donated to the CC&GTCC as a Museum Fund fundraiser. The painting was auctioned at the 2008 Convention Banquet, Wednesday 18th June. The winning bidder, at $3500, was George Maloof from The Palms. George then immediately donated the painting back to the club for our future museum. The painting has been framed to a museum standard, and the frame donated by Tiny Treasures. 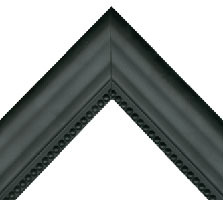 A picture of the finished frame is shown below. The regular price for the frame alone would have been $975. The other pictures show Carlos putting the final touches to the painting and the finished image itself. The overall size of the framed painting is approx 39" x 42". A series of 1,000 hand numbered prints has been produced and they are now available to order. You can select from the various options given below and pay through this webpage, or see me at the Convention. 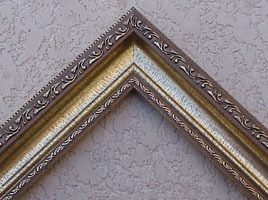 Tiny Treasures are also offering a choice of two (optional) frames for those who want them. The deluxe version includes the same backing as the painting itself. The size of the prints themselves is 17" x 22". Nett proceeds of all prints will go to the CC&GTCC Museum Fund, and the club retains the rights over the sale of this and any other future series of prints regardless of who wins the painting in auction. 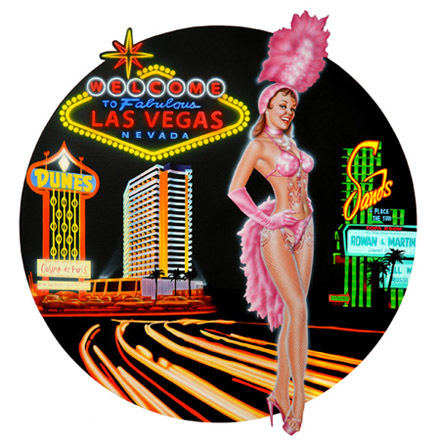 The chips depicting the painting are available here. You can order & pay using the shopping cart for paypal & credit card purchases. You do not need to have a paypal account. If you wish to pay by check or money order please click here. You can NOT combine these donations with purchases from the main Marlow Casino Chips website. Ordering of prints & frames.